Looking to book a luxury villa in France? Making sense of where to holiday in the south of France can be a tall order. The region is huge, which just as many possibilities for villas and luxury retreats. It’s easy to recommend Provence and the Cote d’Azur. True, the prices are higher than other areas in the region but when you visit it’s easy to see why. Anyway, while some rentals may come with eye-watering prices, that needn’t be the case. You’re spoilt for choice, so shop around. When you spot somewhere you like, it’s good to try to build a rapport with the villa owner if possible for a number of reasons. French estimates on capacity and space can differ profoundly from those of their British counterparts. If you’re planning on renting a villa that’s listed in French as sleeping 16, you may want to do a little digging to make sure it really does. When booking make sure you also get a good handle on the exact location. There are stunning properties available in profoundly remote locations - you’ll have to decide what’s more important to you - a long drive for a loaf of bread or a bottle of milk could quickly take the shine off your dream escape. Sites like airbnb are not immune to this phenomena either, as the level of curation is very low so anyone can make a listing. 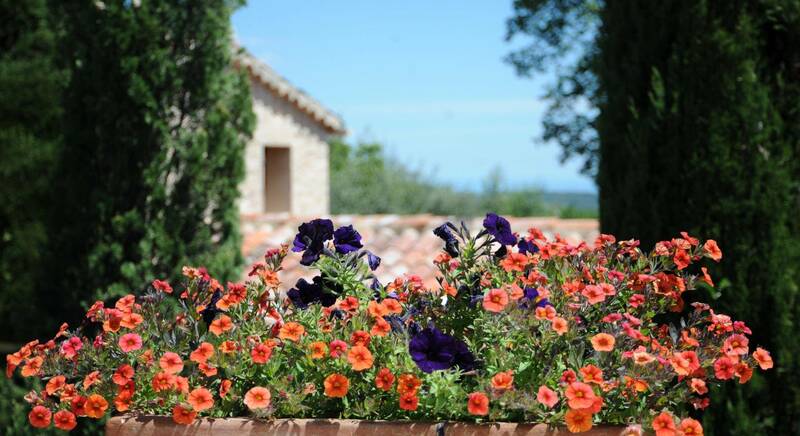 The season in the south of France is longer than you may think, and booking for the lean or ‘shoulder’ months of May, June and September can mean a dramatic price drop without the corresponding loss of clement weather. To go back to the Cote d’Azur, temperatures drop by around 3 degrees celsius in the leaner months, with maximums maintained at 26-28c so your jumper won’t see much use even at the edge of the season. That said, pushing the boat out even further to the winter months, when it is still possible to make bookings and prices drop further, is not advisable. The tourism industry is seasonal, and shuts down in the months where the weather is more variable. One shouldn’t hesitate to consider booking a villa in the area, but beware, only use sites or services where you can speak with a trusted agent, or even better, the villa owner themselves. There are a few unsavoury characters keen to make a quick book and phantom bookings are rife, so if it seems too good to be true, it probably is. Unlike other booking websites The Villa Collective is in direct contact with all our owners and managers and our due diligence ensures listings are all genuine. We always advise to speak to the owner or manager before booking however, not least because it adds to the holiday experience! With that in mind, here we pick two of the finest luxury villas available to book in the Cote d’Azur. Situated on an ancient Roman campsite, a few minutes off the main road from Nice to Grasse, this beautifully restored traditional villa has far-reaching views over the peaceful surrounding countryside and 60km of coastline. The main house has six en-suite bedrooms and a playroom with 4 wide bunks providing accommodation for up to 16 guests. There is also a large swimming pool (14x6m) and fully equipped gym. This beautiful recently modernised villa is situated in the vineyards just on the outskirts of the pretty market town of Cogolin which is situated 20 minutes from St. Tropez. The property comprises five double bedrooms (all with air conditioning) with their own bathrooms/shower rooms, a large open plan sitting room with French windows leading onto the terraces overlooking the pool below and fantastic views beyond. The garden has been beautifully designed and there is also a boules pitch. This is a perfect house for one or two families.